You like having a walk in markets and choosing the most beautiful fruits, the most beautiful vegetables and meeting the local population? Then do not miss the fruits and vegetables market in Fribourg! 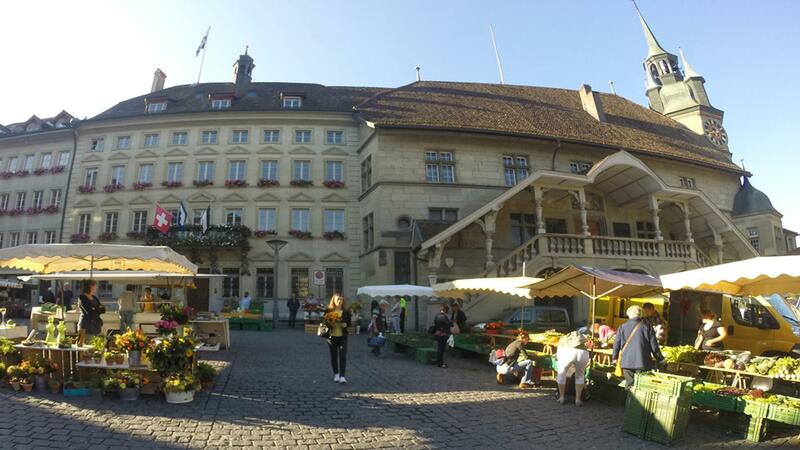 In Fribourg, the market take place three times a week in town. The market of Saturday morning, in particular, is held on the magnificent square of the City hall, in the historic part of Fribourg. Approximately 70 storekeepers are held there and are essentially local producers. Caravans alternate with various sizes of stall, and go on to the Main street, other jewel of the historical heritage of the City. On Wednesdays mornings, the market takes place also in town. Find the magic of stalls on the Square Georges-Python, or then in the charming market of the Rue du Simplon. On Friday find your local product in the Beaumont district.